Recent tragic events have brought even greater attention to the need for multi-faceted security efforts to safeguard large events, including trade shows, concerts and sporting events. The International Association of Venue Managers, the International Association of Exhibitions and Events, and the Exhibition Services & Contractors Association launched a collaborative initiative to focus on the safety and security of attendees, members, stakeholders, employees and the general public who attend meetings, conferences, conventions and exhibitions around the world. The effort is known as the Exhibitions and Meetings Safety and Security Initiative (EMSSI). The groups are working to establish national guidelines for convention centers and related venues around the U.S. that align with federal programs of the U.S. Department of Homeland Security (DHS) and the Safety Act office. The National Center for Spectator Sports Safety and Security at the University of Southern Mississippi has developed best practices for collegiate, interscholastic, professional sports, and marathon settings. 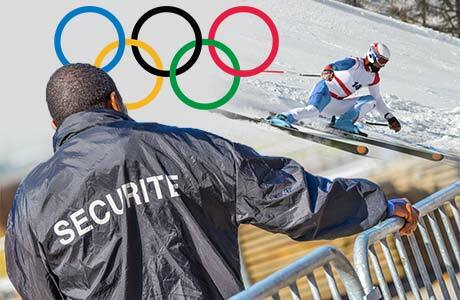 The Center also conducts research and offers training courses in sports event security. The Project Stadia initiative was established by INTERPOL and funded by Qatar to create a Centre of Excellence to help INTERPOL member countries in planning and executing policing and security preparations for major sporting events. The 10-year project will contribute to policing and security arrangements for the 2022 FIFA World Cup in Qatar. S2 Global and partner Rapiscan Systems are well positioned to respond to heightened concerns about event security, with an experienced team that can provide solutions and technology to secure events large and small. Capabilities include helping organizations evaluate technology needs, developing operational procedures including traffic flows and people or vehicle entry-point screening, providing in-depth training for security and support staff, and implementing security integration. Rapiscan and S2 Global have provided security for a number of large events, including FIFA World Cup 2010, the London 2012 Olympics, the Sochi 2014 Olympics, the Glasgow 2014 Commonwealth Games, and the Gold Coast 2018 Commonwealth Games. Learn more about the ways S2 Global and Rapiscan can improve event planning, operations, cost control, training and revenue stream management.